Fort Lauderdale, FL – While Gurkha is known throughout the world for making super premium luxury cigars, CEO Kaizad Hansotia knows that change is key in the cigar business and it’s critical for growth to develop new brands. Now, just in time for the International Premium Cigar & Pipe Retailers show, IPCPR, Gurkha has released three new blended cigars that are expected to become blockbusters. They are the Cellar Reserve Platinum Edition, Heritage and The Cask Blend. The Cellar Reserve Platinum Edition is Gurkha’s first Nicaraguan blended cigar in the prestigious Cellar Reserve line. It has an Eduadorian oscuro wrapper and a Nicaraguan binder and 12-year-old fillers from Condega, Esteli, and Jalapa. It’s medium bodied and comes in two three sizes; Krakean 6 x 60, Hedonism 6x58, and Solara 5 x 58. It is specifically blended to deliver the richest characteristics and complexity that comes from Nicaraguan aged tobaccos. It retails for $8.99 - $10.99 a cigar. 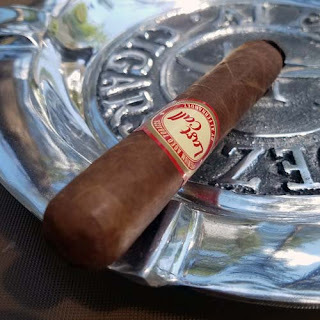 The Heritage has a rosado Ecuadorian habano wrapper, Nicaraguan binder and Dominican, Pensylvanian and Nicaraguan fillers. It’s medium bodied and comes in three sizes: Robusto, Toro and XO. It’s hand rolled in Nicaragua and comes in a rare 35-count box. This cigar is was blended by our blending team at American Caribbean Cigars in Nicaragua, with the input of our in-house blender and National Sales Director, Juan Lopez, and the blessings of Kaizad Hansotia. This flavorful blend has rich coffee and dark chocolate tones with a subtle and well-balanced spice present throughout. It retails for $7.99 - $9.99 a cigar. “We’re proud to release a fantastic medium to full-bodied blend in the Heritage Cigar. A true aficionado will not be disappointed with the wonderful collaboration of flavors in this cigar,” says Kaizad Hansotia, President and CEO of Gurkha Cigars. The Cask Blend is a signature Gurkha cigar. Its wrapper, binder and filler are highly guarded proprietary secrets. It’s medium bodied and hand rolled in the Dominican Republic. It comes in two sizes;: 5 x 58 and 6 x 58. It comes in a striking new wooden 200-count box styled like only the artisans at Gurkha know how to do. The Cask Blend’s unique flavor notes are complemented by the natural richness of the proprietary wrapper, binder and fillers. It’s a rich and complex cigar like the Gurkha brand itself. It boasts notes of sweet spice and rich cedar. It retails for $7.99 to $8.99 a cigar. Today Gurkha produces eight million cigars per year. They are sold in more than 200 50 countries worldwide. Each Gurkha cigar provides a luxurious experience different from the last. Housed in a beautifully appointed facility in South Florida, Gurkha has core brands, limited edition brands and an entire line of innovative and affordable brands through its East India Trading Company line.